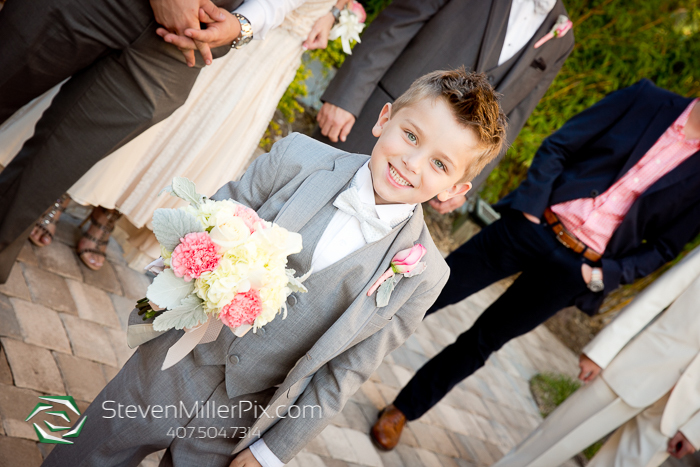 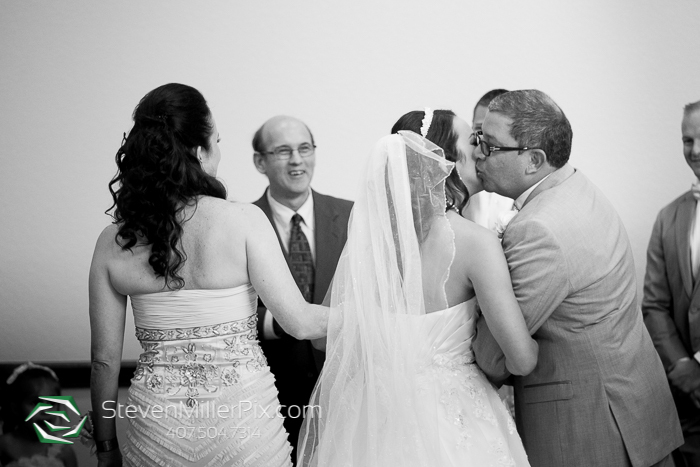 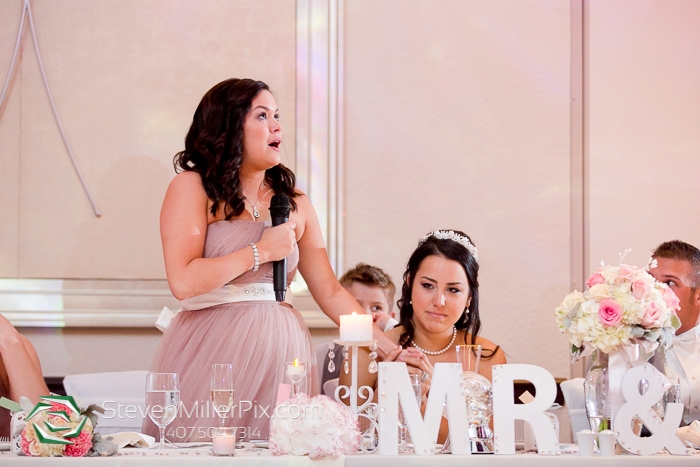 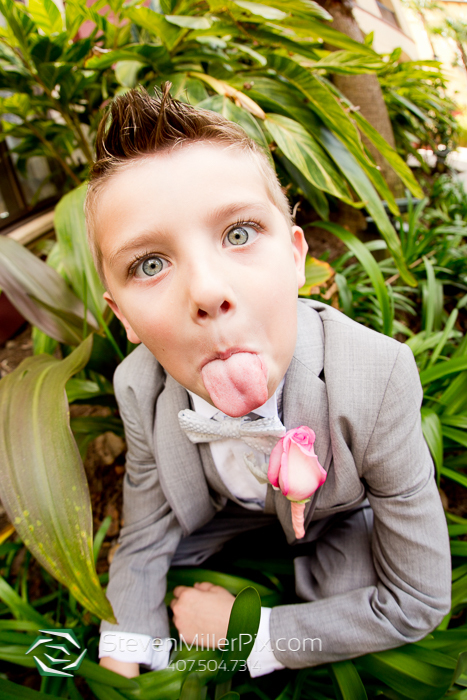 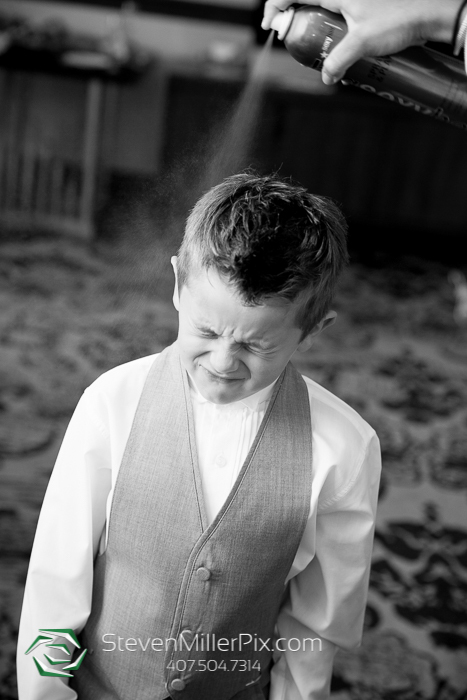 The wedding day of Thea and Vince was exactly what we were expecting, so much fun and easy-going!! 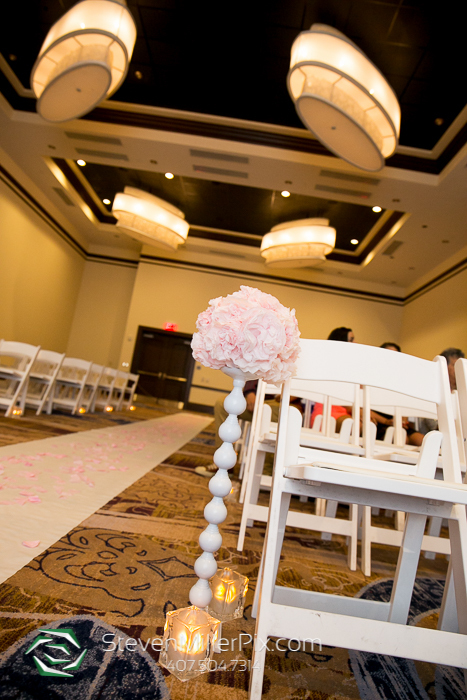 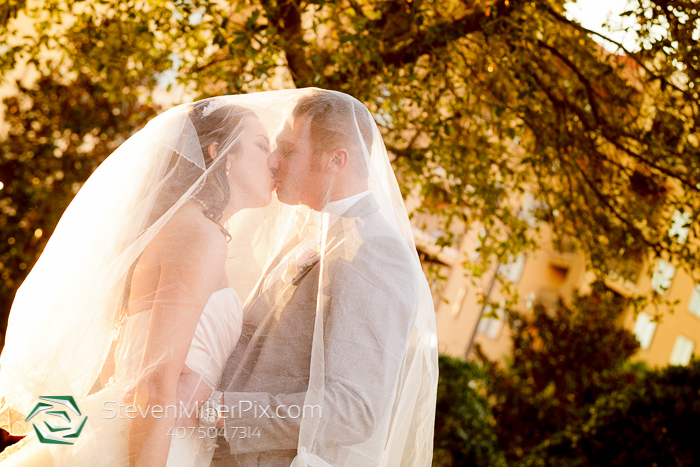 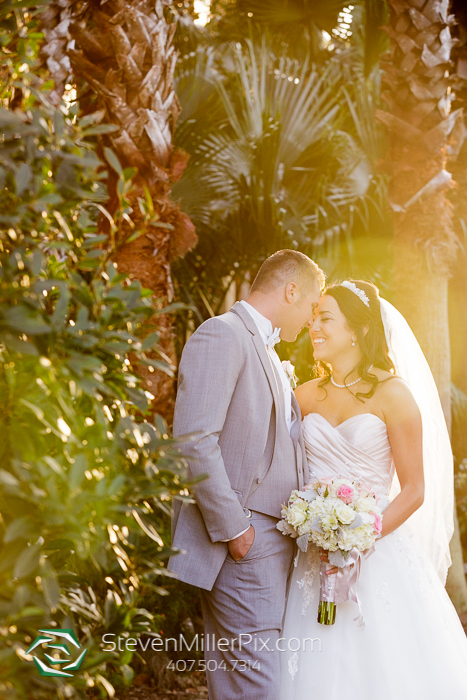 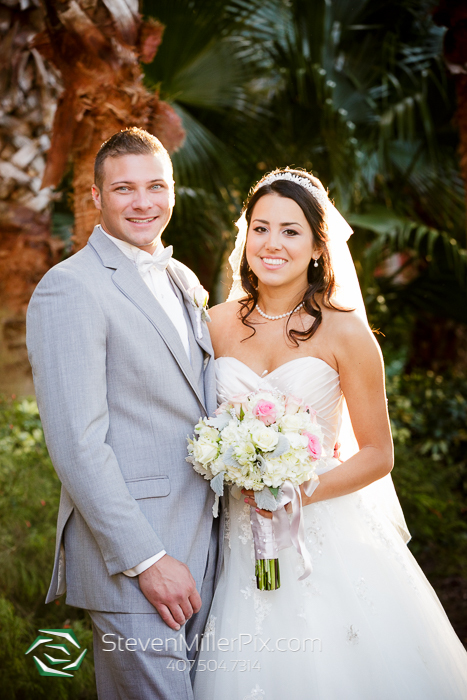 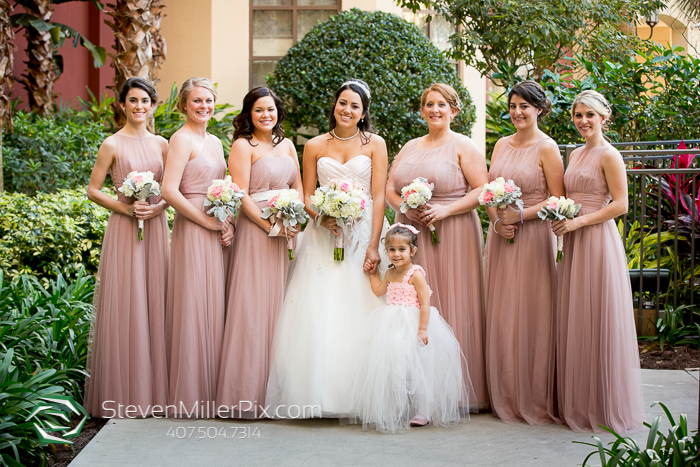 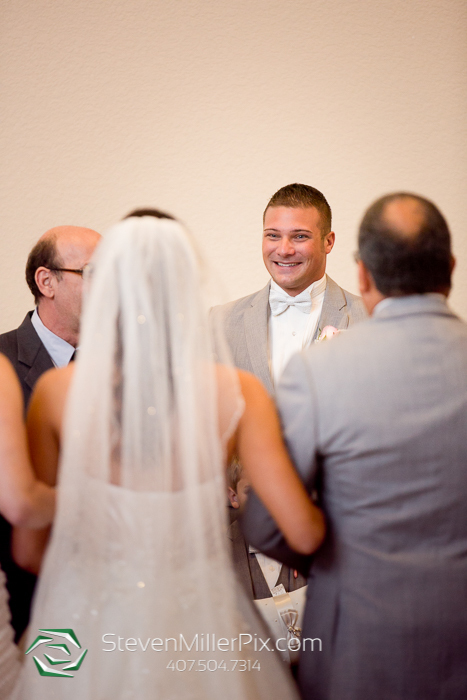 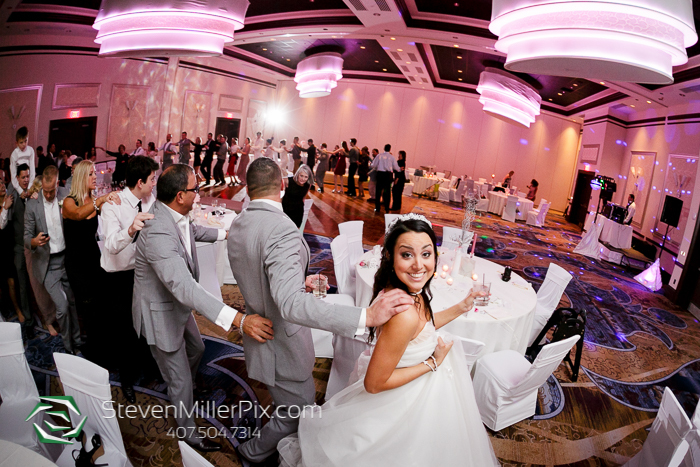 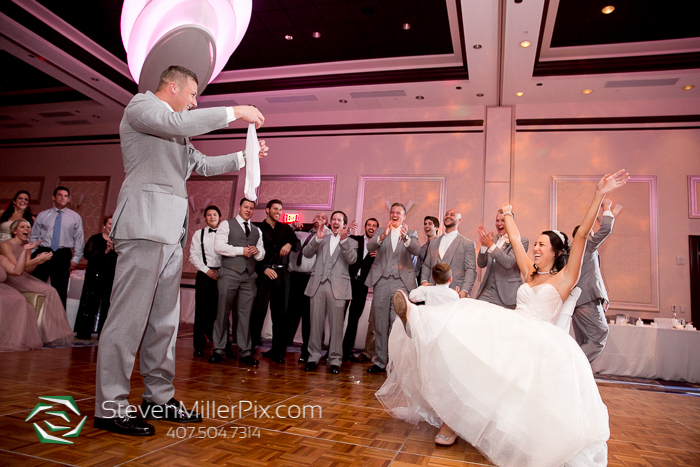 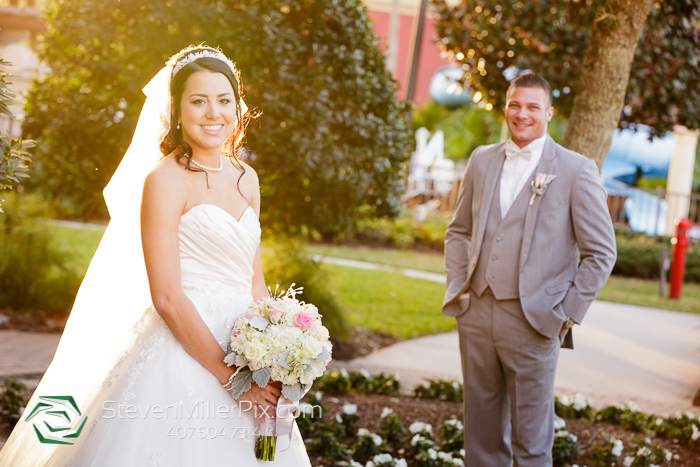 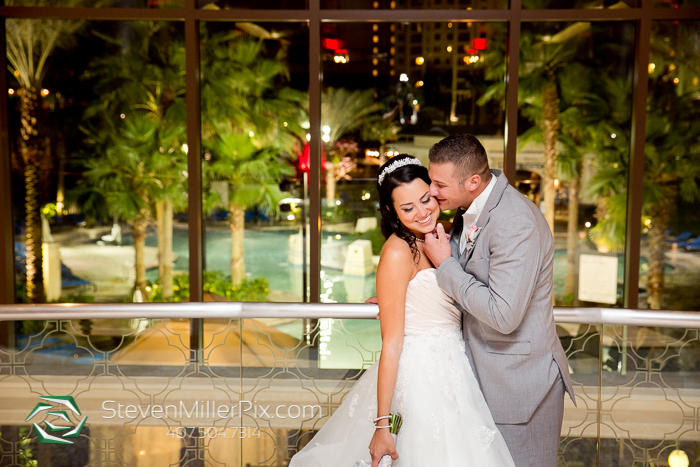 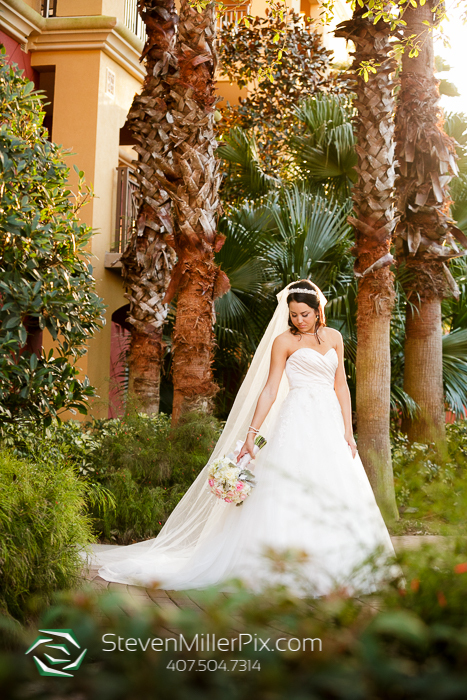 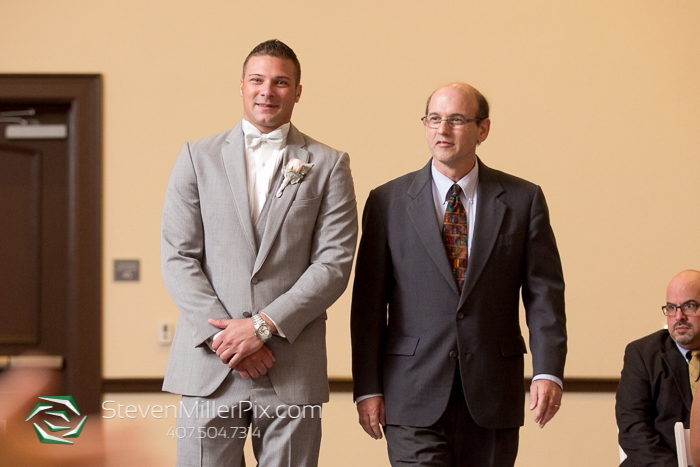 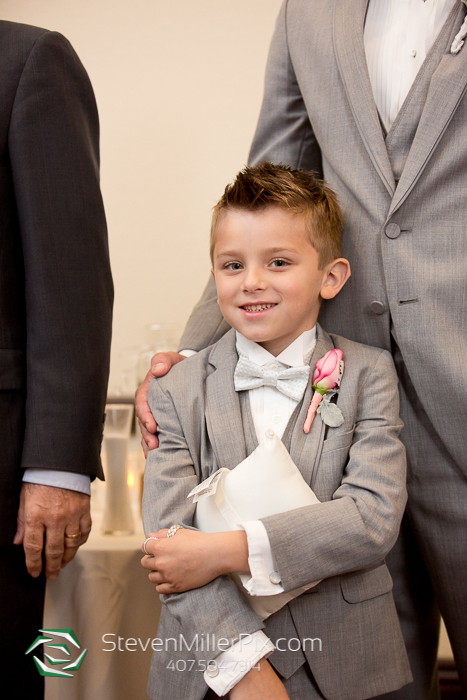 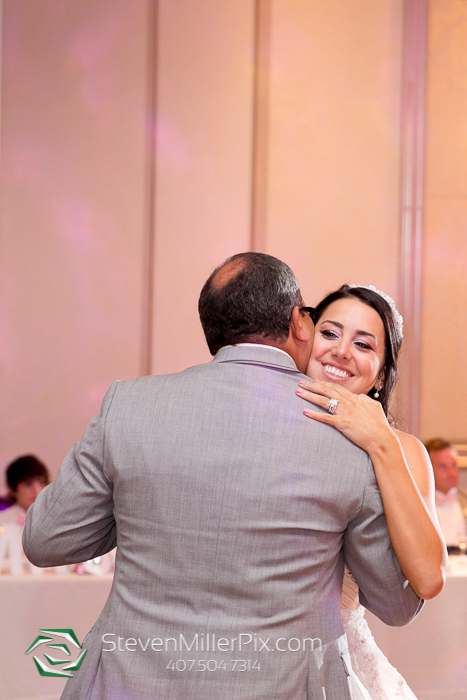 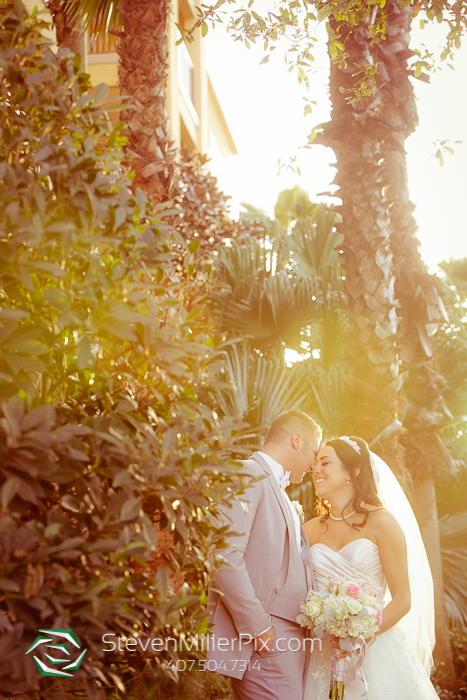 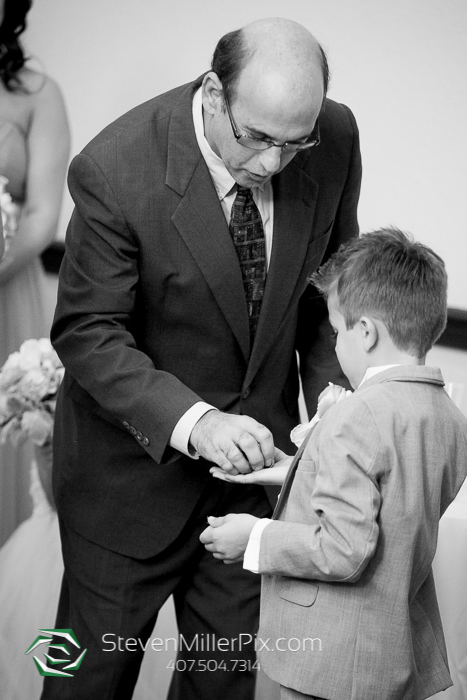 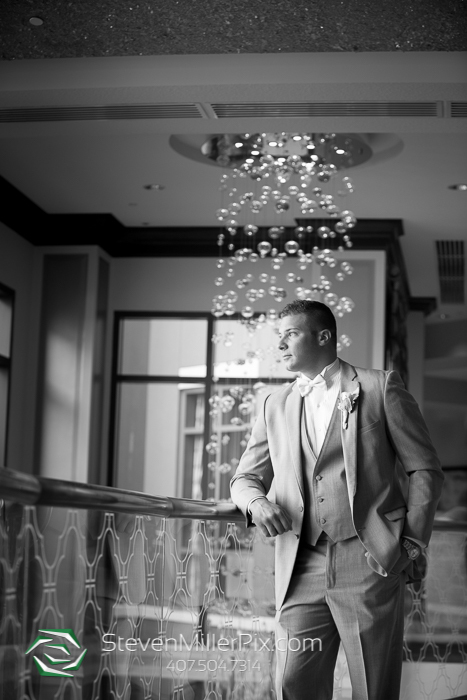 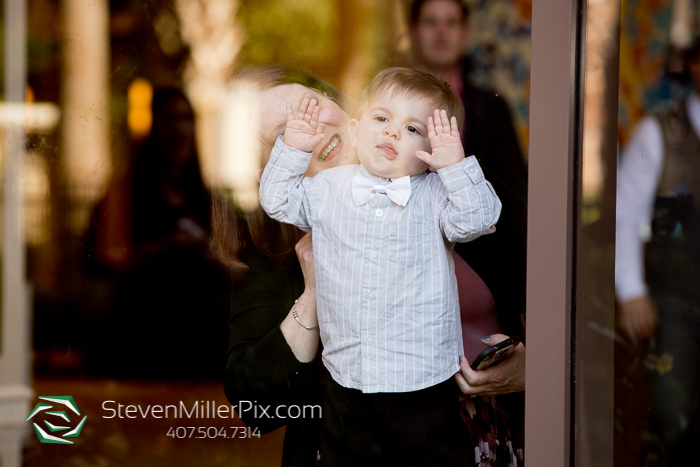 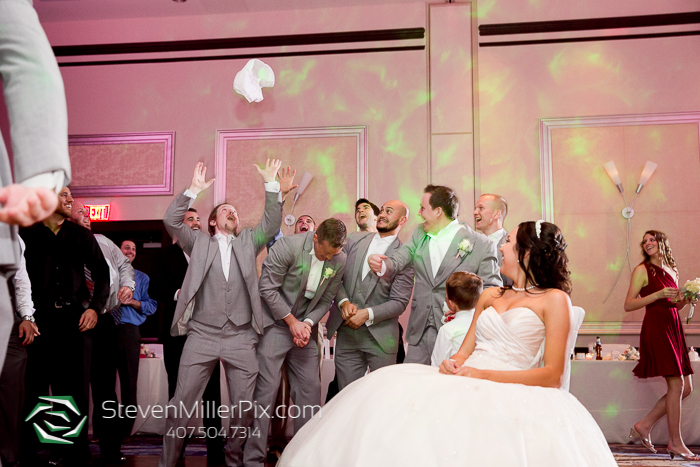 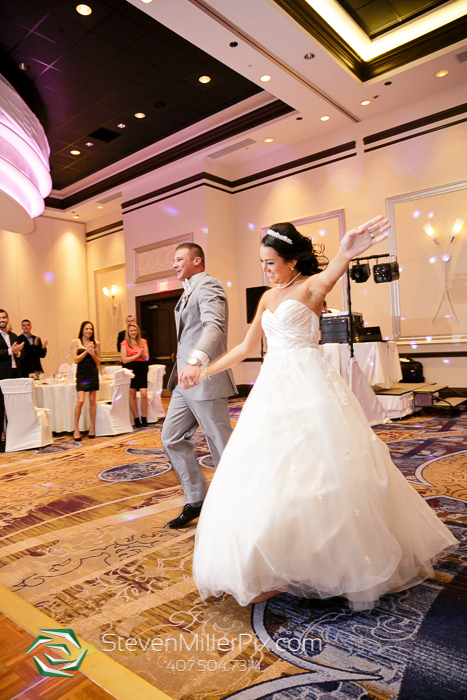 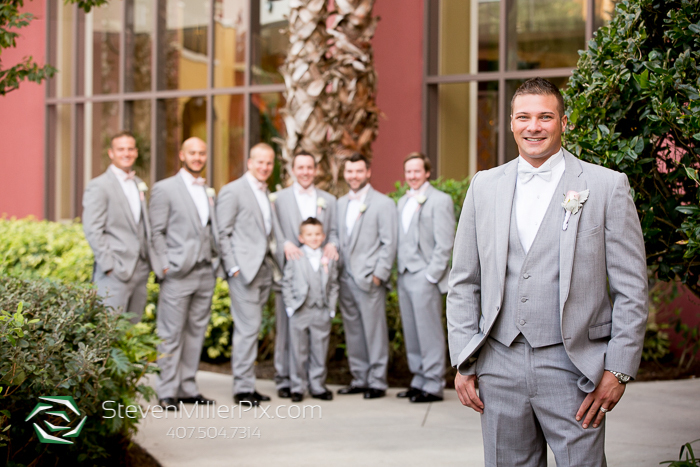 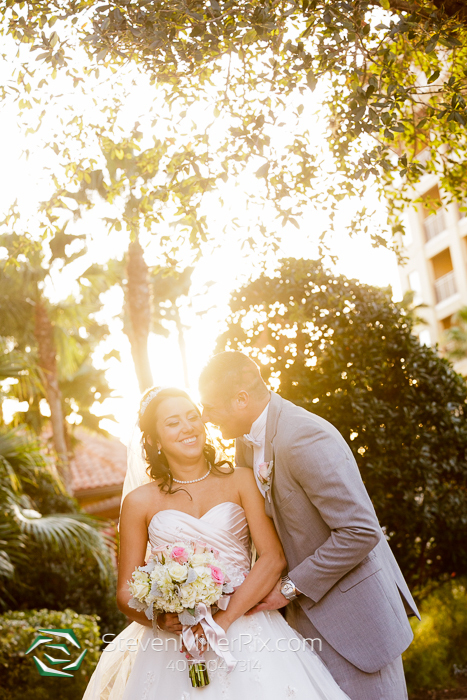 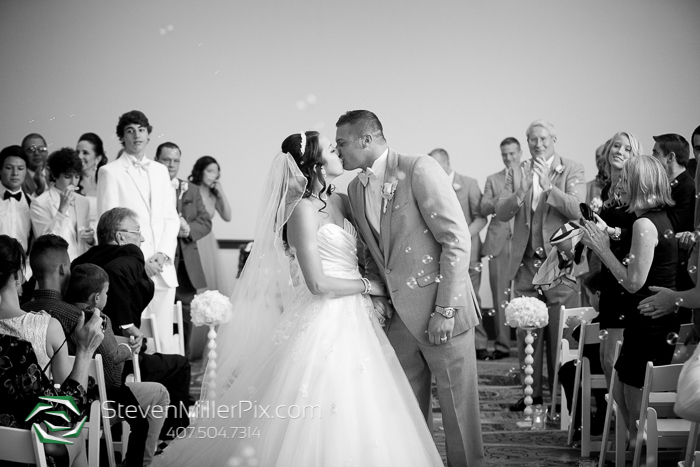 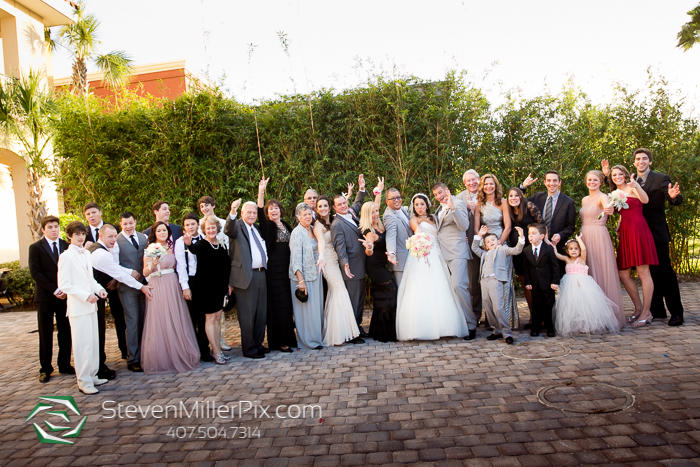 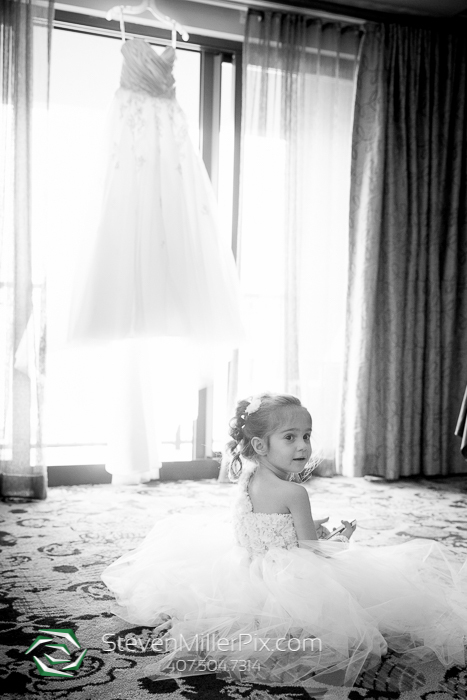 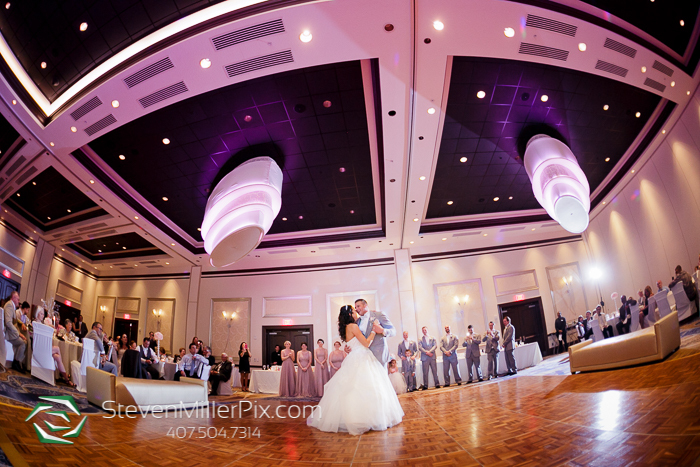 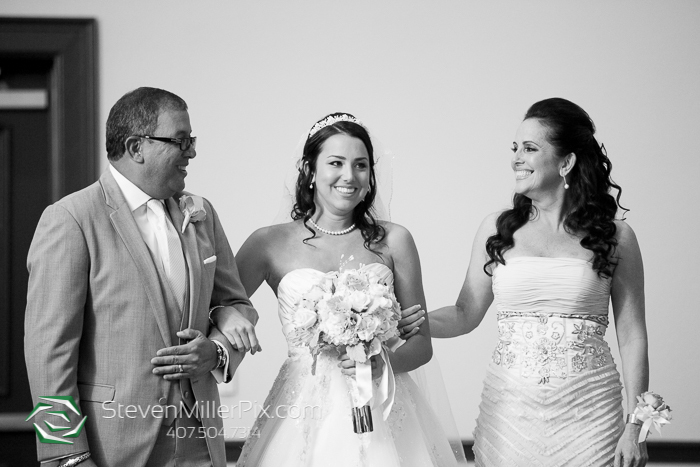 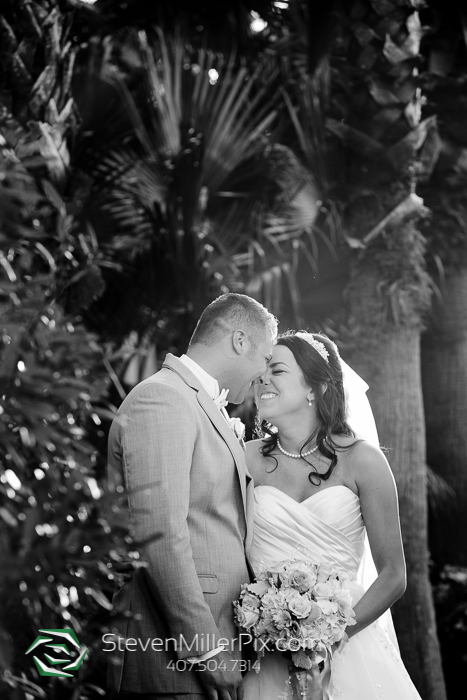 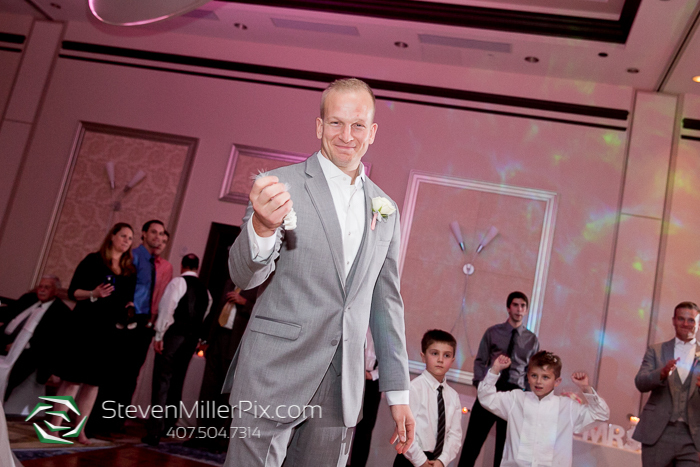 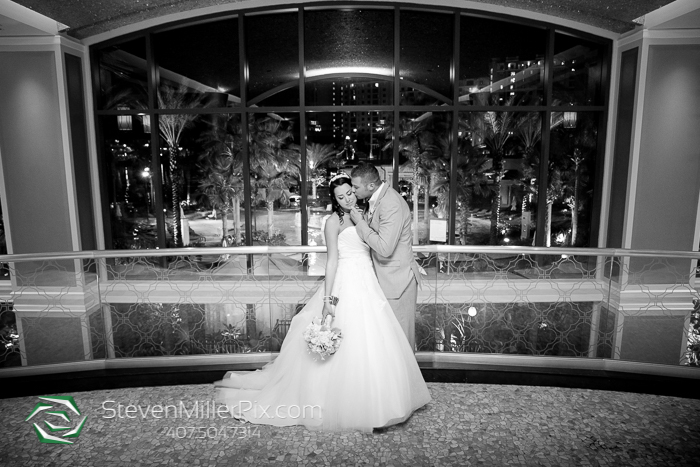 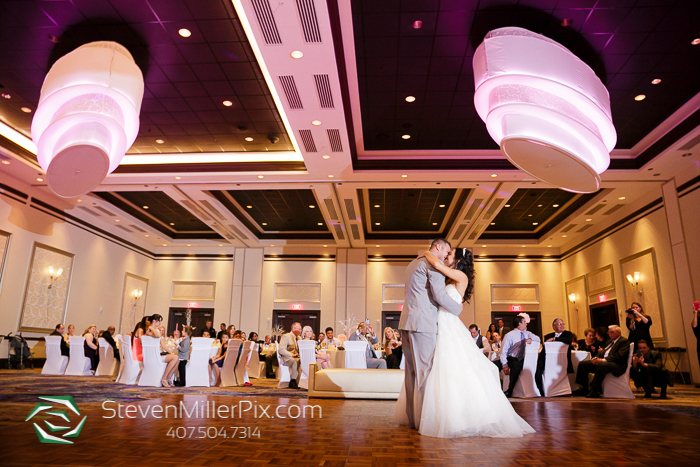 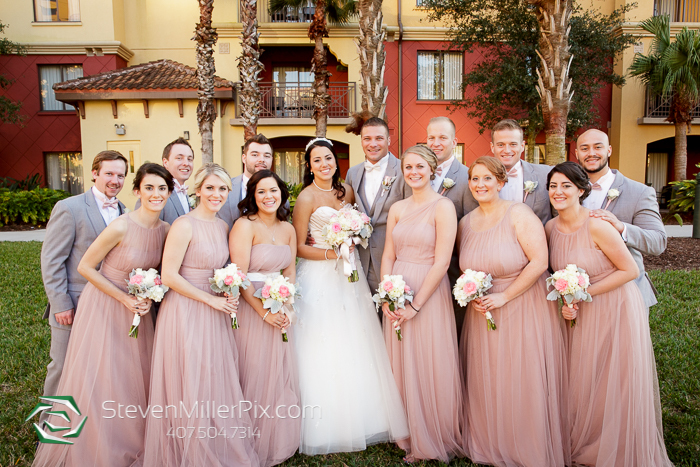 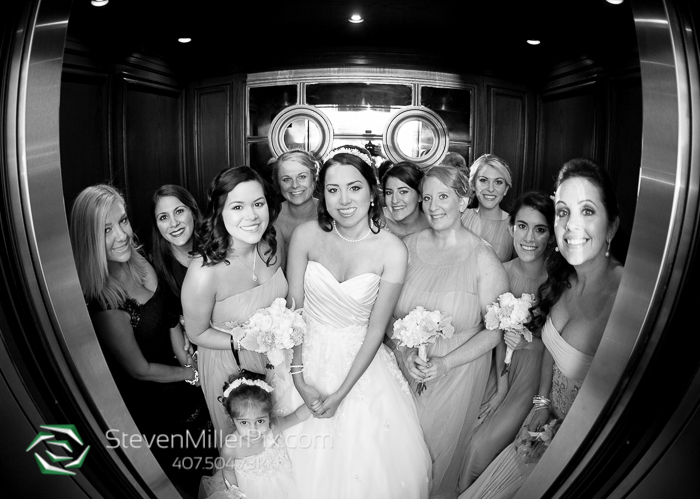 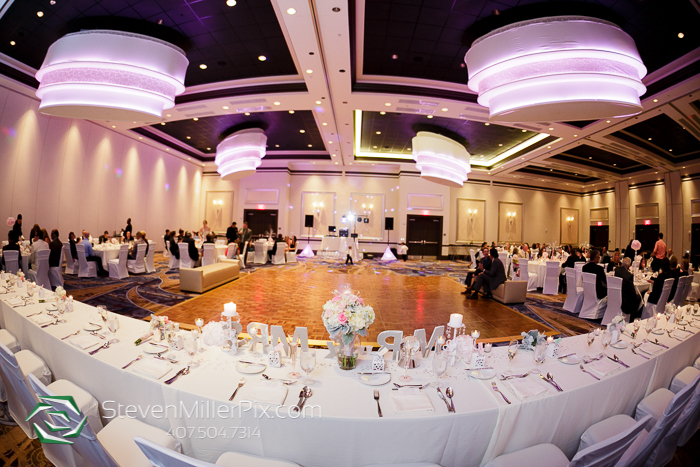 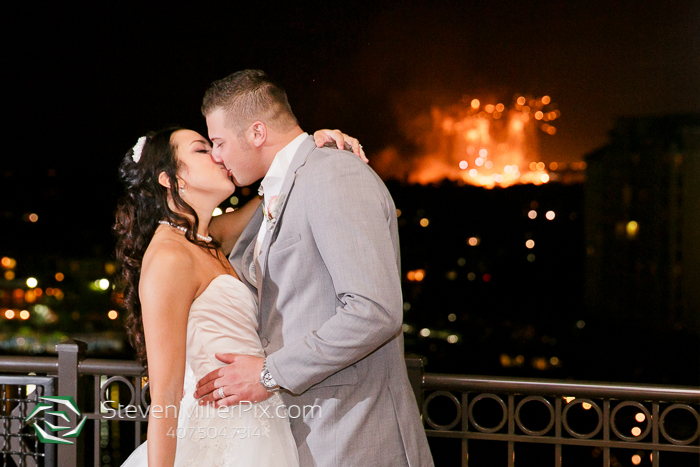 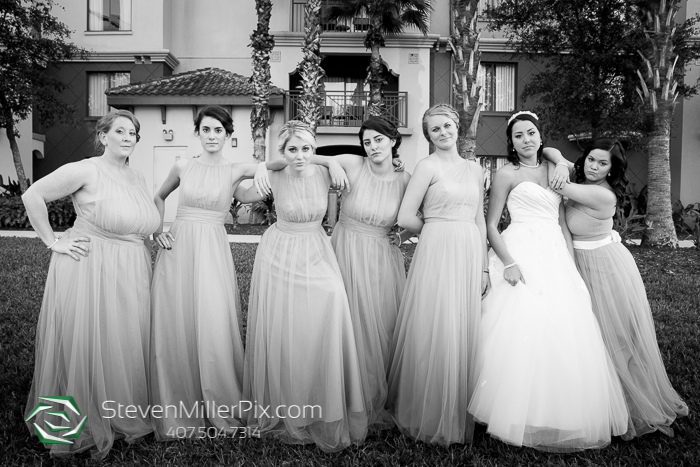 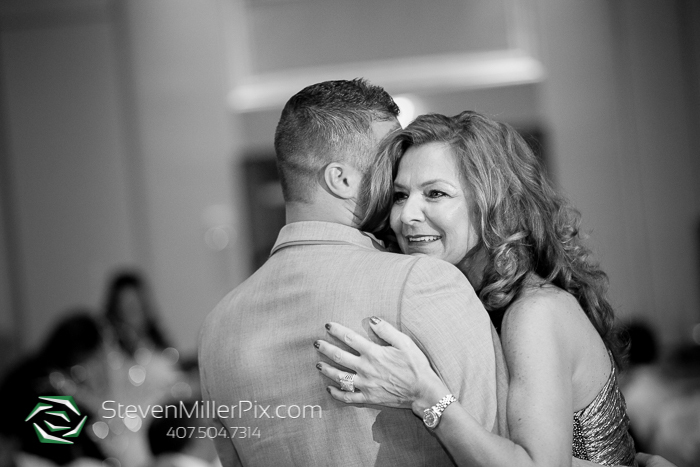 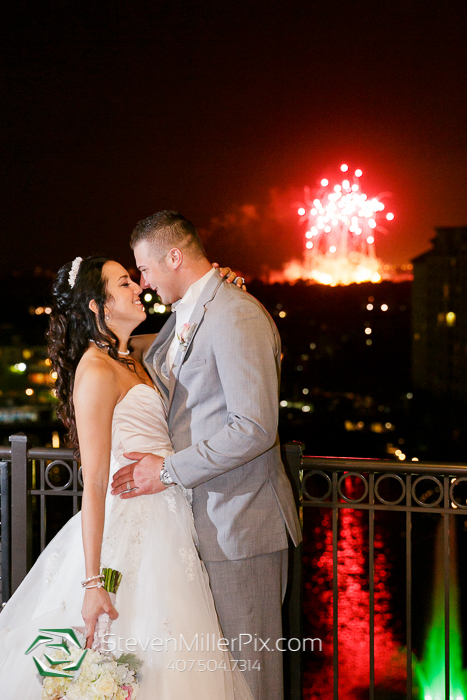 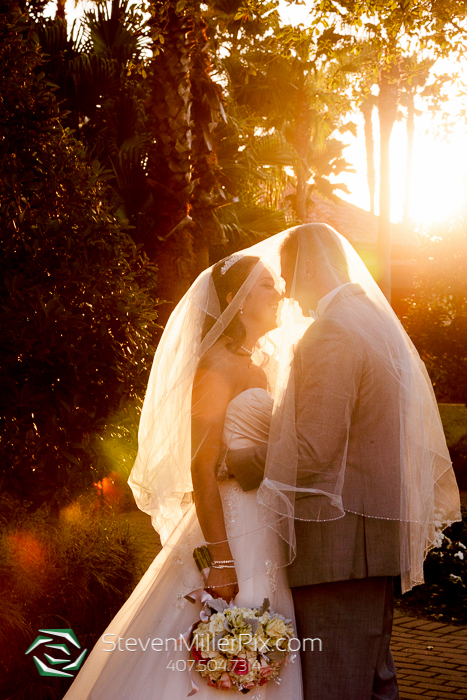 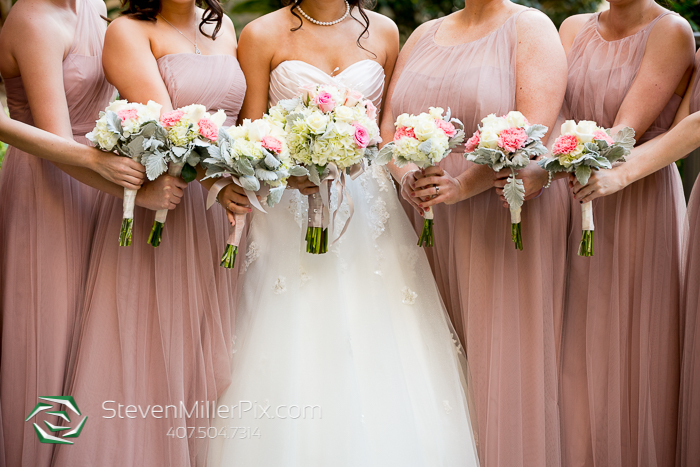 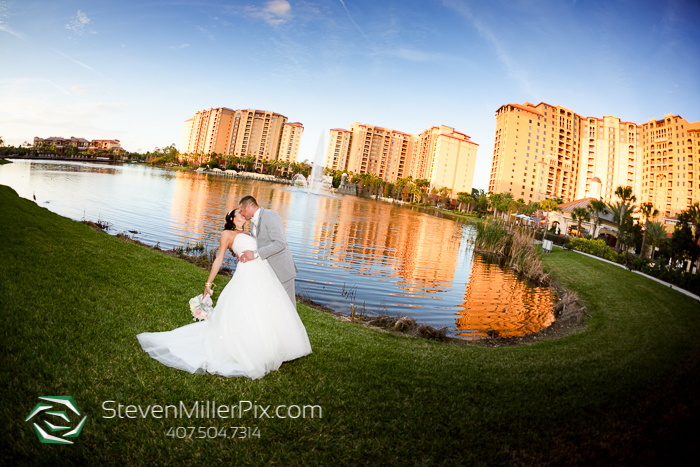 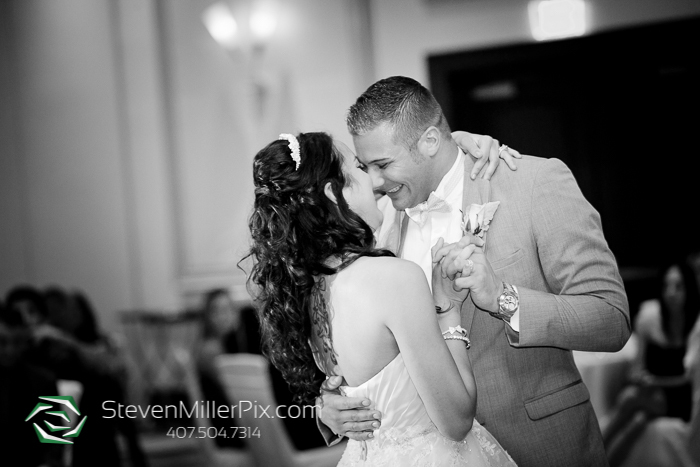 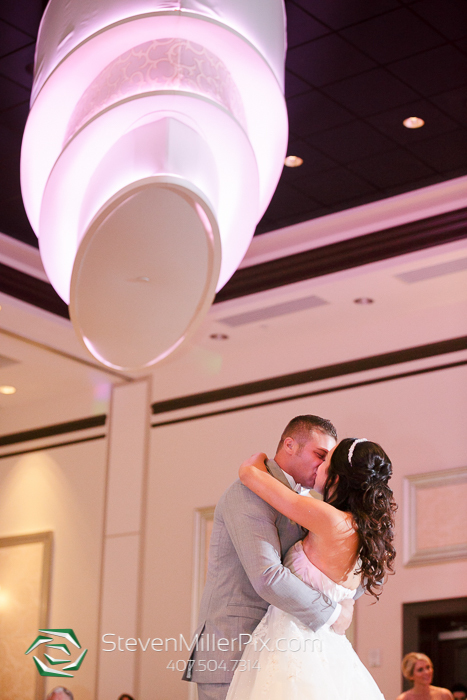 We recently captured their beautiful wedding at the Wyndham Orlando Resort Bonnet Creek! 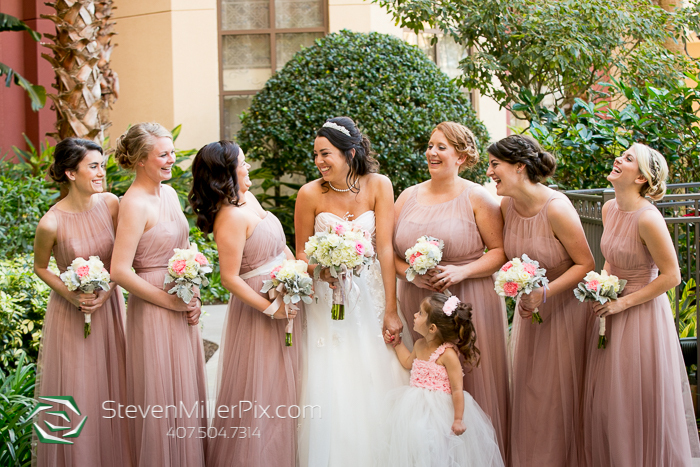 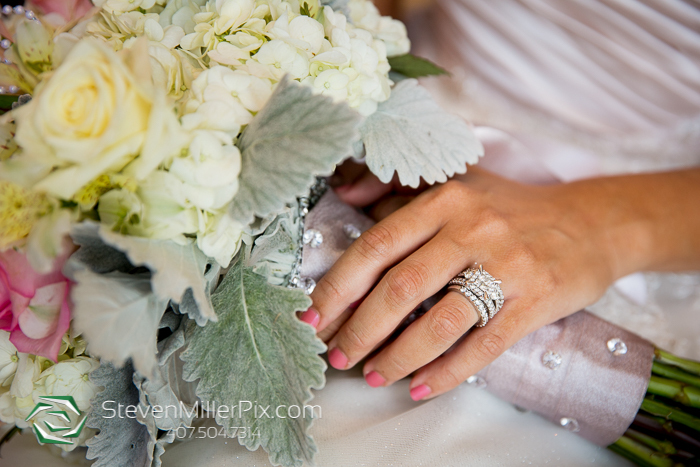 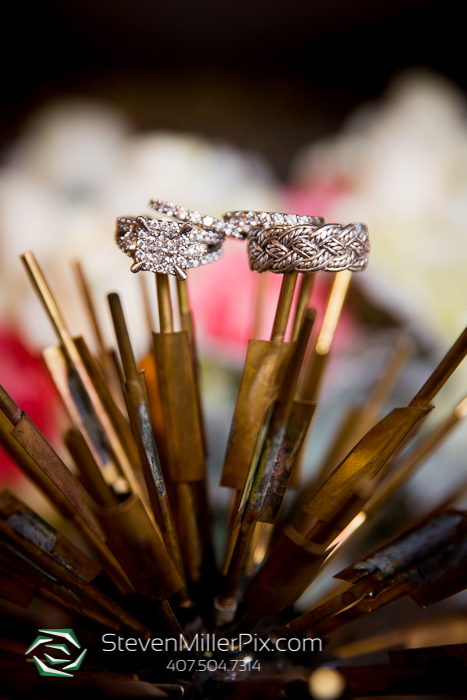 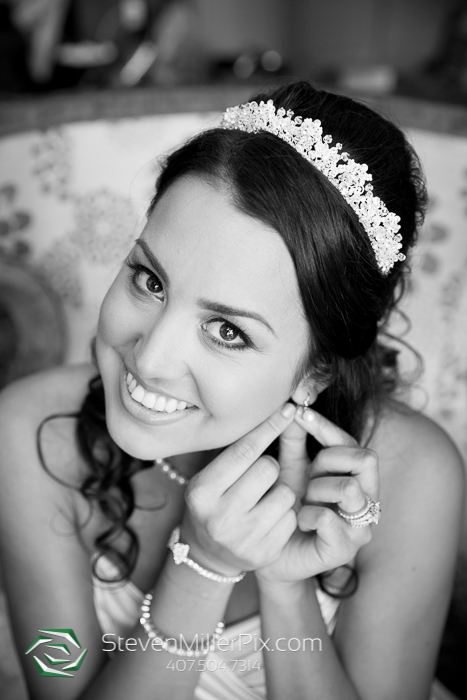 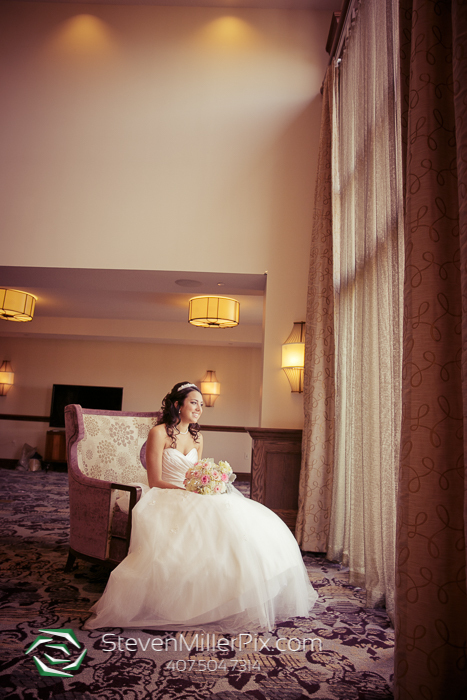 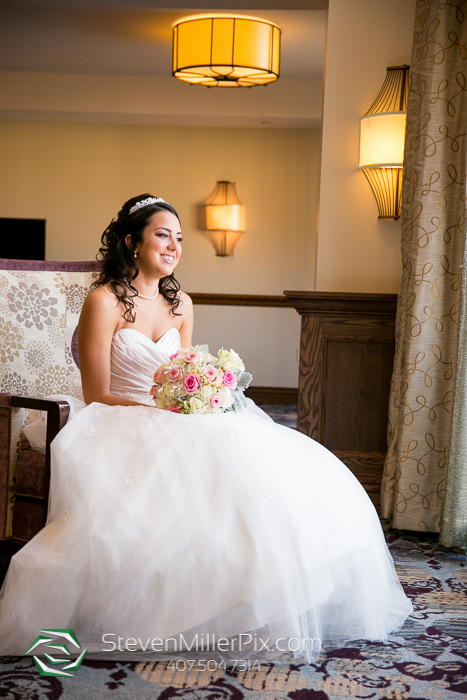 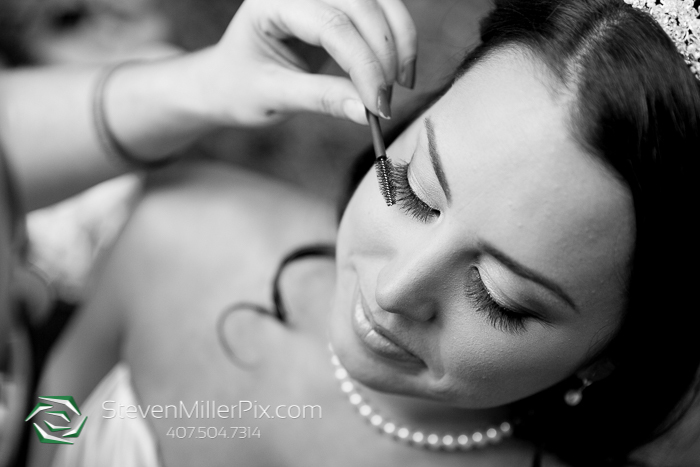 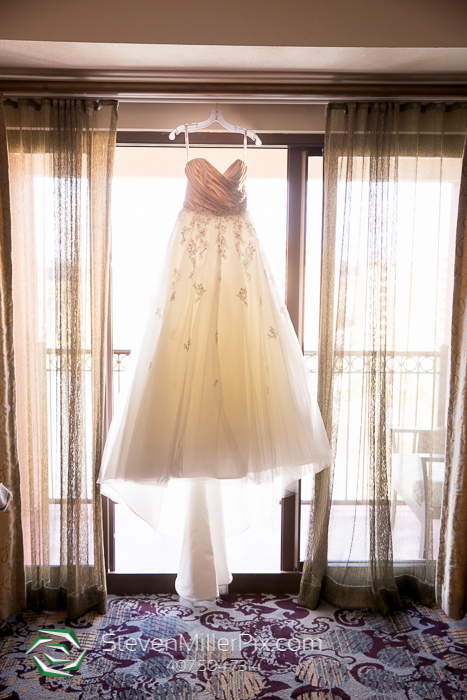 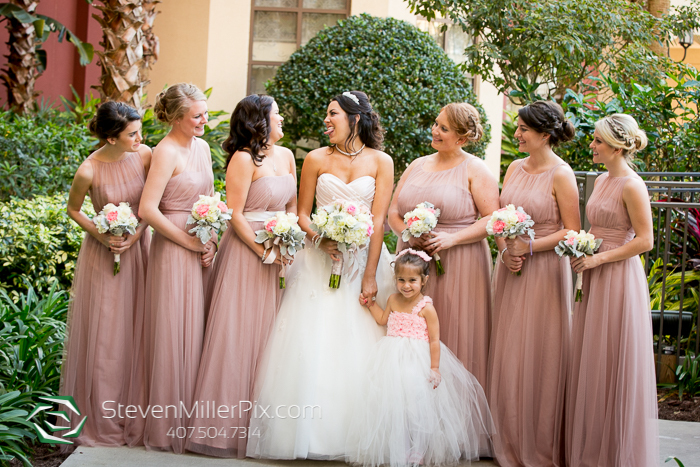 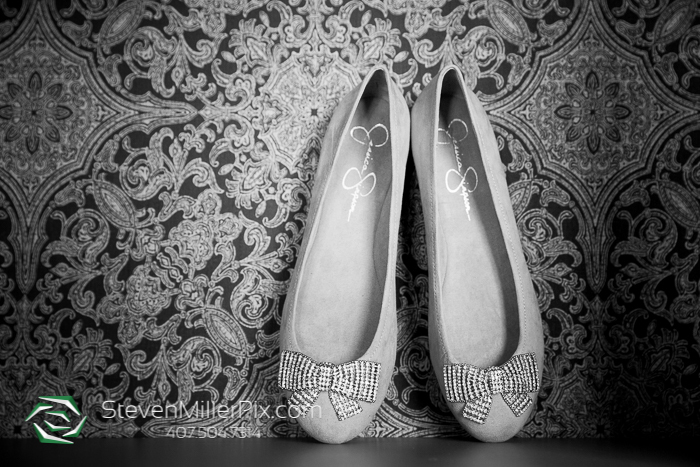 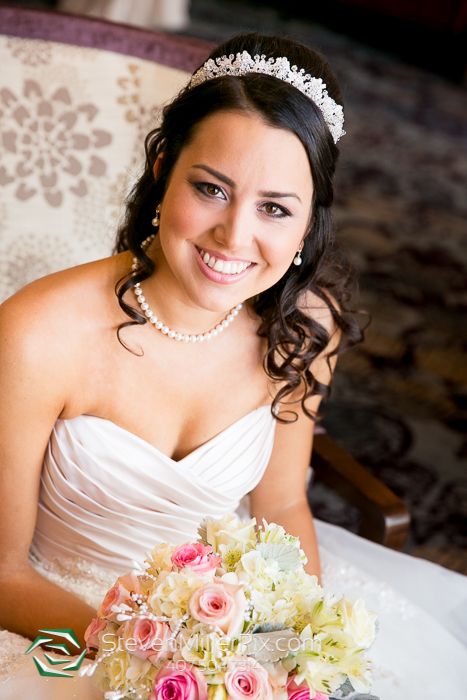 Orlando Wedding Photographer Steven Miller started capturing Thea’s bridal preparations and her wedding details in her spacious bridal suite, including the wedding dress, rings, shoes, and jewelry. 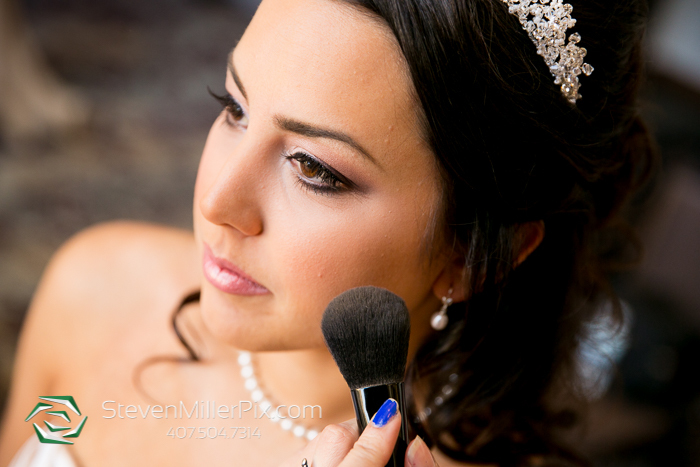 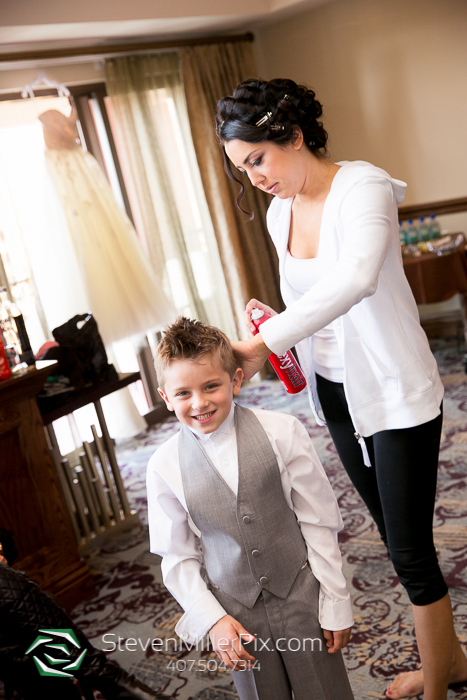 Hair and makeup services were provided by Laura Reynolds and Kristina Obannon. 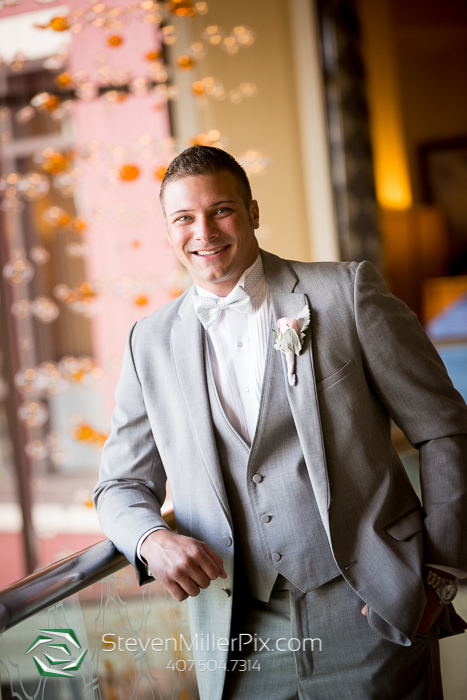 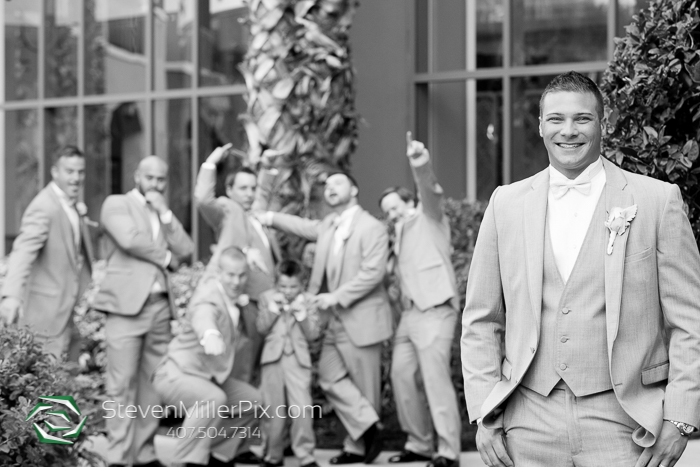 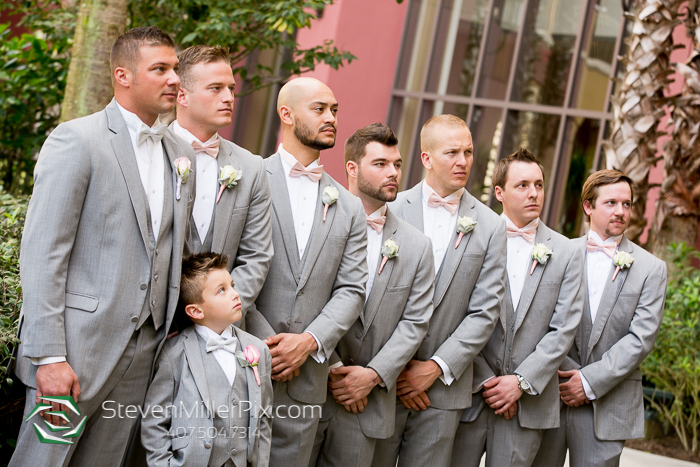 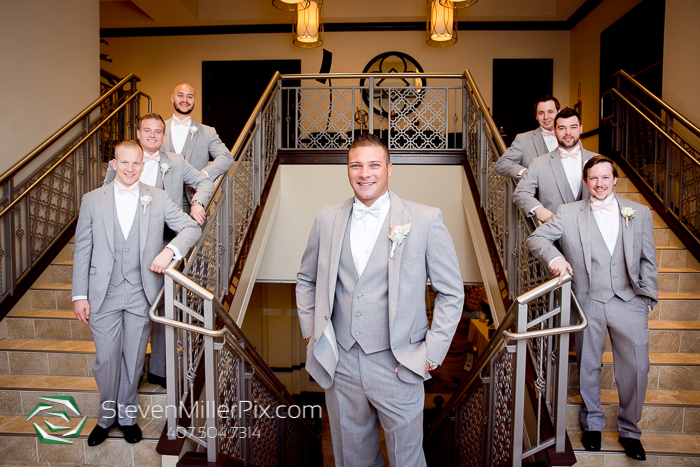 The beauty of weddings at Wyndham is that everyone is within close proximity, so we were able to meet up with Vince and his groomsmen and capture their portraits before returning to capture the bridal party! 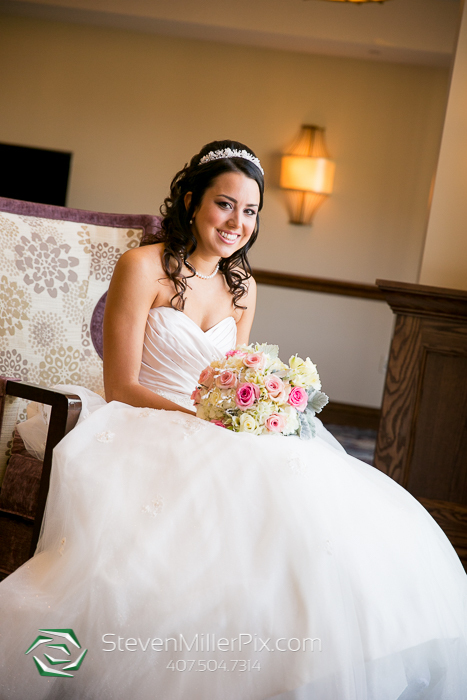 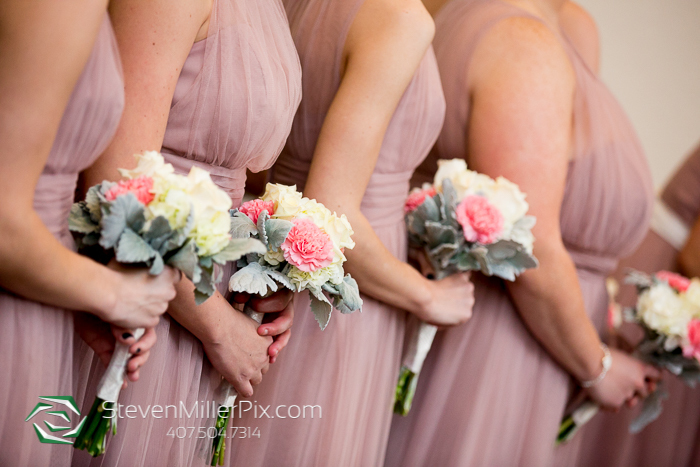 Wedding flowers, bouquets, and boutineers and floral arrangements were created by A Downtown Florist. 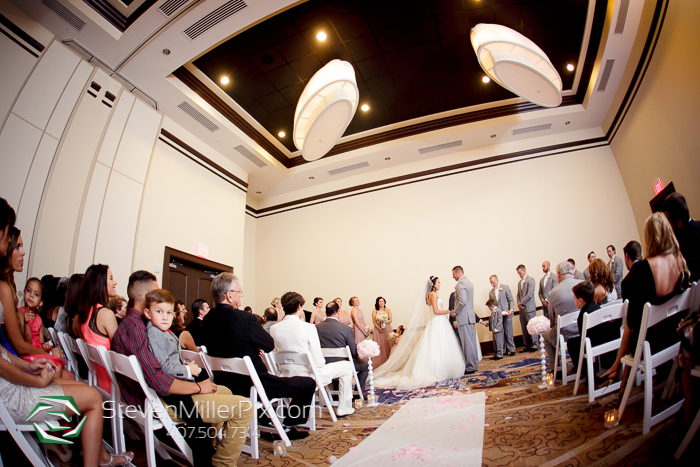 After capturing bridal party portraits, we proceeded to the Journey Ballroom for their indoor wedding ceremony, officiated by Pastor Ernie. 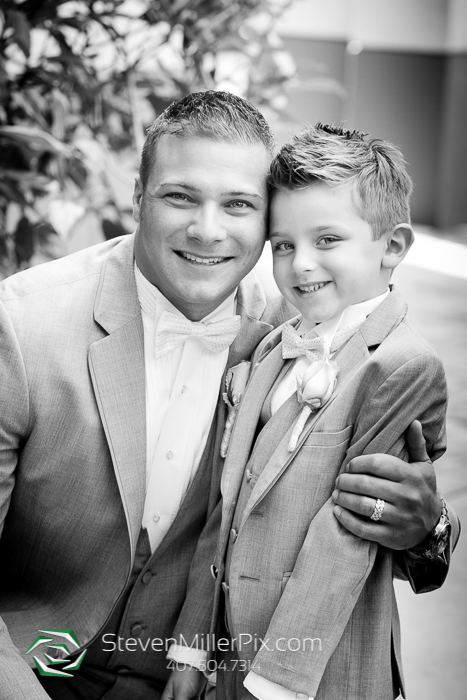 After their I-Do’s, we captured their family and personal portraits around the property, and captured a few fun lakeside photos as well! 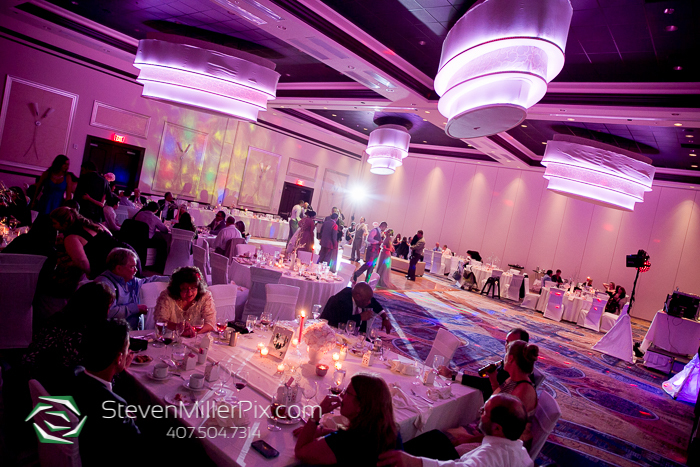 Their reception was held back inside within the Ponce De Leon Ballroom. 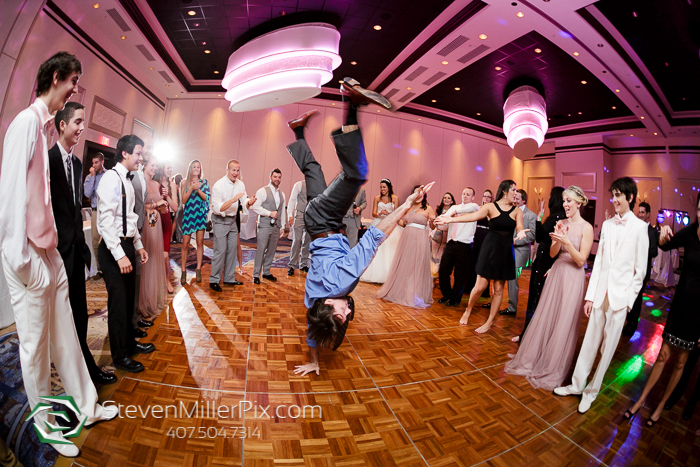 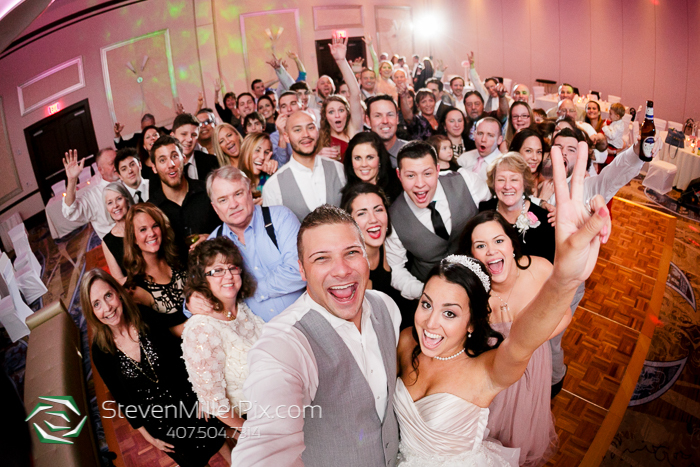 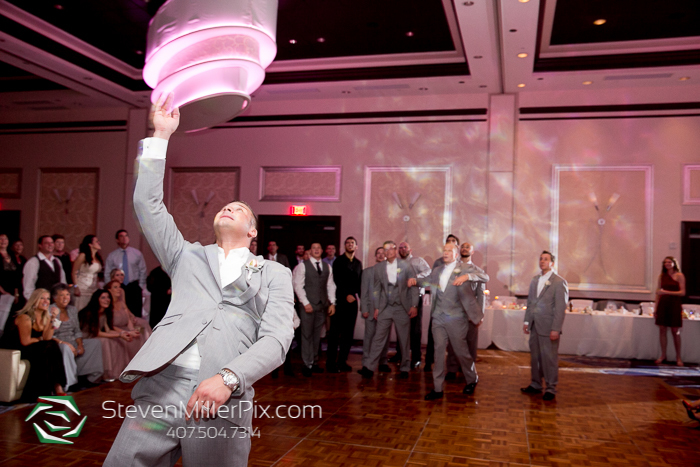 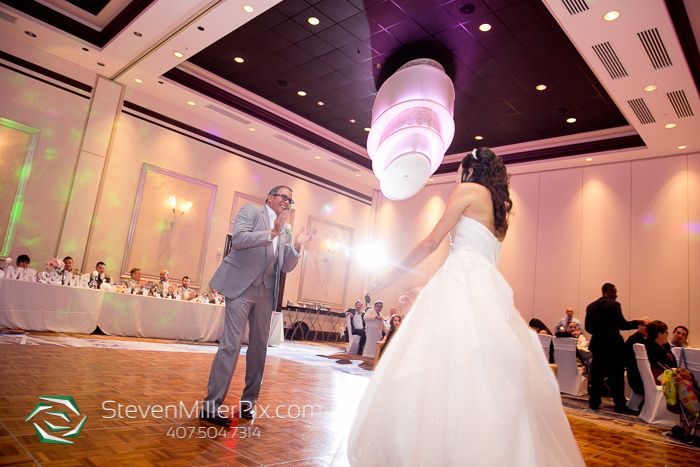 DJ Joe of Elegant Entertainment truly rocked this wedding reception, providing some awesome rocking music and party lights throughout the night! 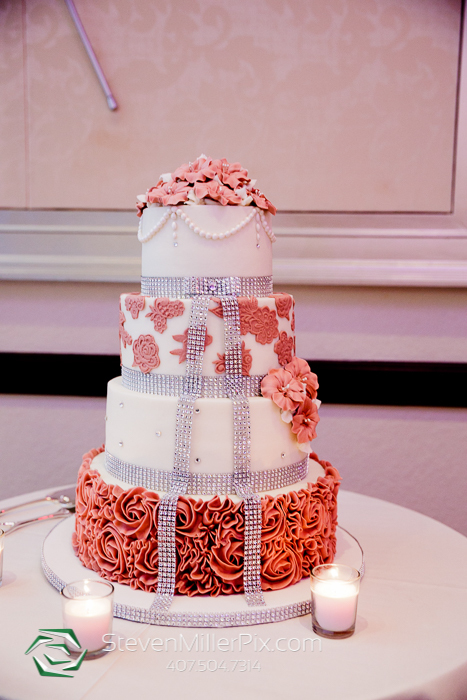 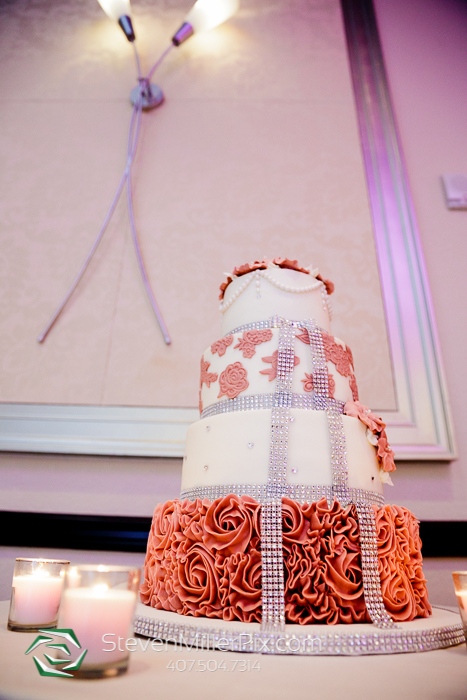 Party Flavors created the elegant wedding cake, and table details were handmade by family! 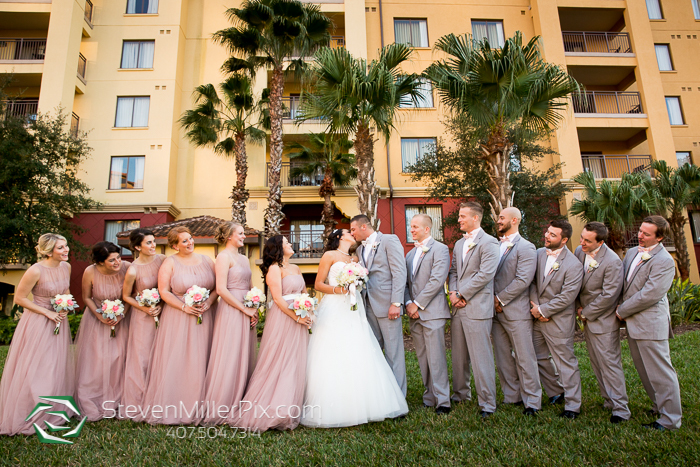 Pave Weddings provided great wedding coordination throughout the day, and special thanks to Brittany with the Wyndham wedding team for her help throughout the wedding! 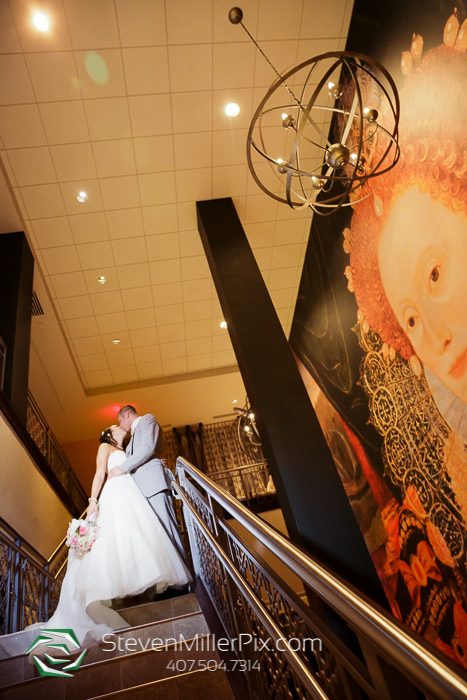 Congratulations to Thea and Vince on your amazing wedding day, and thank you for bringing us along to help tell your love story!